Shiseido Benefiance NutriPerfect Eye Serum 15ml is a total eye treatment created especially for mature skin, experiencing visible signs of ageing. The serum effectively improves loss of firmness and wrinkles, associated with hormonal changes due to ageing, for an impeccably youthful appearance. Immediately, the eye area feels more smooth and firmed. In a week, sagging and fine lines appear visibly reduced. In three weeks, the look of crow’s feet dramatically improves. 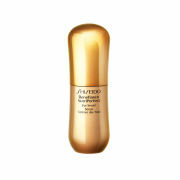 Reduces the appearance of dark circles and dullness while boosting radiance around the eye area. Shiseido Benefiance NutriPerfect Eye Serum 15ml / 0.53 oz. 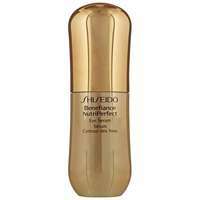 SHISEIDO Benefiance NutriPerfect Eye Serum 15ml was found on 4 websites and was price compared using EAN: 0729238191129. The cheapest SHISEIDO Benefiance NutriPerfect Eye Serum 15ml is shown as the main item, prices range from £47.95 to £76.00, excluding delivery. Price comparison based on price and delivery charges, with any valid discount codes being applied, is shown in the table above. Prices and information correct at the time of publication.